Luesse, Valerie Fraser. Almost Home. Grand Rapids, MI: Revell Publishing. 2019. Byk, A. Lynn. Mister B: Living With a 98 Year-Old Rocket Scientist. Littleton, CO: Capture Books. 2017. Moving in with her elderly father-in-law, researcher, investigator and author, Lynn Byk, had only hoped to spare Joseph Byk from the nursing home but received so much more in return. Organized into dated journal- type entries, Mister B shares the almost century-year-old history lived by a man who is humorous, cantankerous, passionate and not always politically correct. Heartwarming and honest, this story causes one to ponder life and smile. What a delightfully charming book! Actually a book for many to read, this tackles one of life’s issues- aging parents. 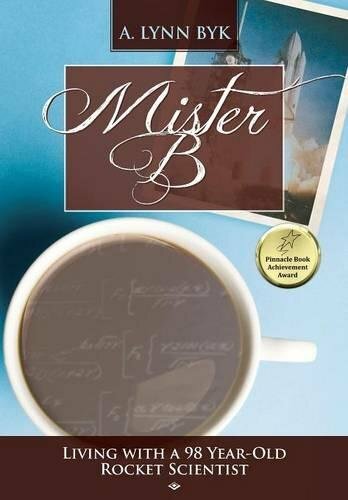 Full of wonderfully thought-provoking lessons, I learned and enjoyed several snippets of history from Mister B. With many stories waiting to be passed down, Lynn Byk knows just the questions to ask to keep her father-in-law talking. Well-written with wit, compassion and grace, I thoroughly enjoyed this book. Priceless! Cantrell, Julie. Perennials. Nashville, TN: Thomas Nelson Publishing. 2017. Haunted by a fire that happened years ago, Lovey (Eva) leaves town, far away from her bitter sister, Bitsy (Elizabeth). Living her own life while dealing with guilt, disappointment, anger and loss over the shed fire, Lovey is called back home to help plan her parent’s 50th wedding anniversary. 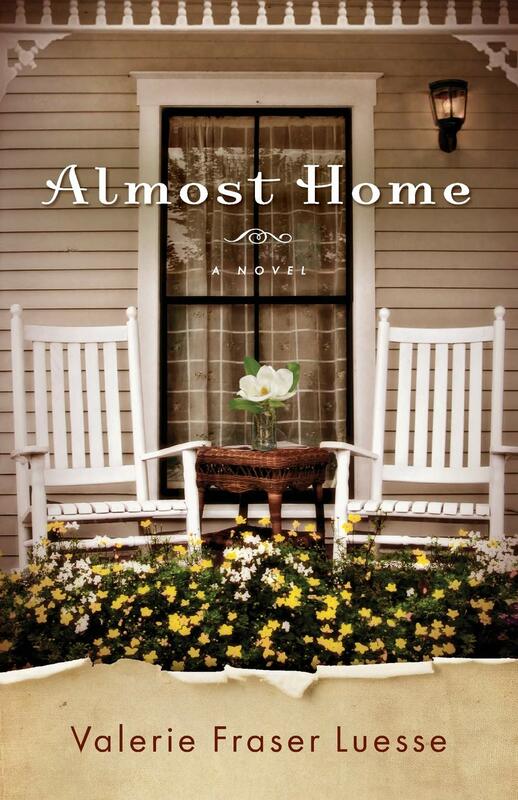 Chancing a visit home though it may mean facing the pain from the event all those years ago, Lovey must make decisions which could change her life forever. 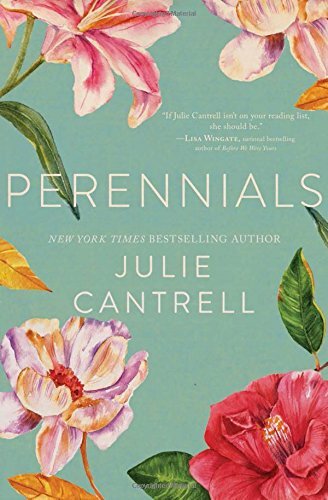 With an absolutely beautiful cover and a very appropriately named title, New York Times bestselling author, Julie Cantrell, centers her newest novel around perennials. Even with an inspiring and creative topic, unfortunately, I had trouble really connecting with this novel which surprised me. Truly liking her previous books, I am not sure if it was the story or me personally that just couldn’t merge with the story this time. Struggling to finish with a few reservations along the way, I will definitely read this author again while hoping for a different reaction. Keels, Nadine. 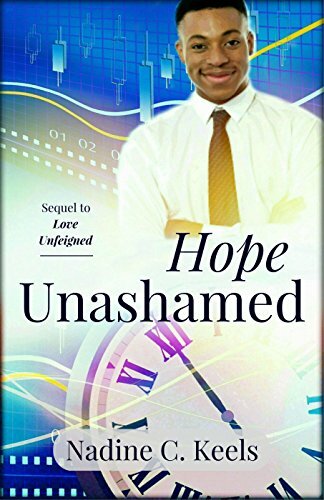 Hope Unashamed: When It’s Time Series- Book 2. Smashwords. 2017. As a good student with high morals, Arthur didn’t have time for girls. That is, until he met Lorraine which changed everything. 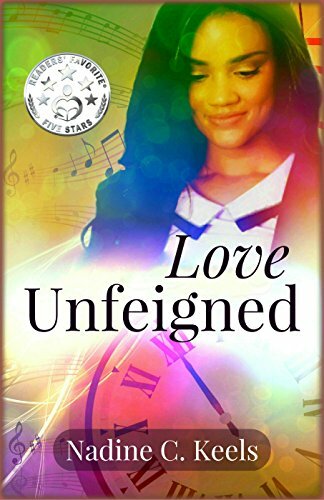 Beginning as a high school romance and continuing the journey into adulthood, Hope Unashamed is filled with sweetness, innocence, perseverance, and hope. 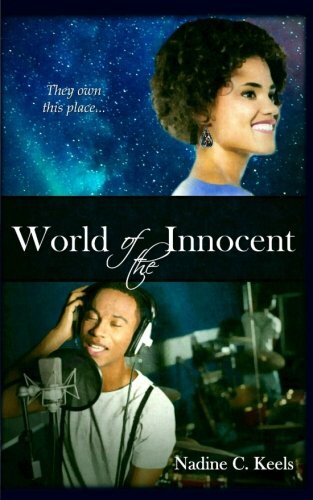 Written in a unique manner, author Nadine Keels travels back into the first book of the When It’s Time series where Arthur made his debut, his backstory is learned from his own point of view. Filling the gaps and then moving forward, the storyline only becomes fuller. Eggerichs, PhD, Emerson. Before You Hit Send: Preventing Headache and Heartache. Nashville, TN: Thomas Nelson Publishing. 2017. Everyone has been there…sending the immediate message, only to regret it later. 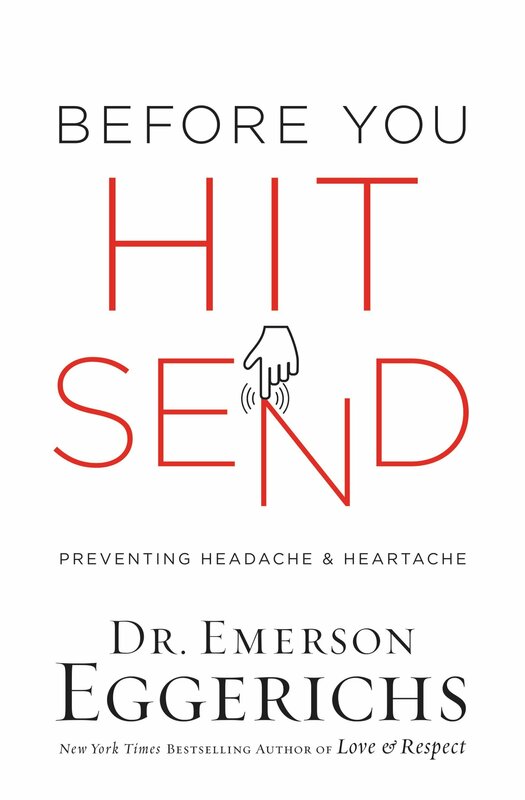 In his new book, Before You Hit Send, author Dr. Emerson Eggerichs hopes to help put the brakes on those messages sooner than later. Working through four important criteria for messages, both written and spoken, each message should pass through the “Is it True, Is it Kind, Is it Necessary, and Is it Clear” test. With explanations of each area as well as related scripture verses, thoughts, personal stories and self examinations, the book also includes ideas for actions if that message was sent too quickly. Well organized, easy to follow, interesting to read and right on target, this thought-provoking, encouraging and highly applicable book should be required reading. Taking his advice to heart, I hope to redirect my communication to qualify through the four criteria presented in Before You Hit Send so as not to have the regrets nor the consequences of miscommunication through haste. A very good book with great ideas and important actions, I will recommend this book to many of my family and friends. Shanks, Shanna. A Fierce Love: One Woman’s Courageous Journey to Save Her Marriage. Grand Rapids, MI: Zondervan Publishing. 2017. With her marriage on an uncontrollable downward spiral, author Shanna Shanks decides to take 1 Corinthians 13 literally and follow it word, for painstakingly word. Faced with a request for a divorce after her husband admitted to an affair, in her new book, A Fierce Love, the author shares her tumultuous season full of mistakes, missteps, uncertainty, and doubt. Pure, raw, and vulnerable, the decision made to save her marriage may save more than just her marriage, it may also save countless other relationships. A valuable read no matter the state of any marriage, A Fierce Love reiterates the truth found in God’s word in the Love scripture, 1 Corinthians 13. 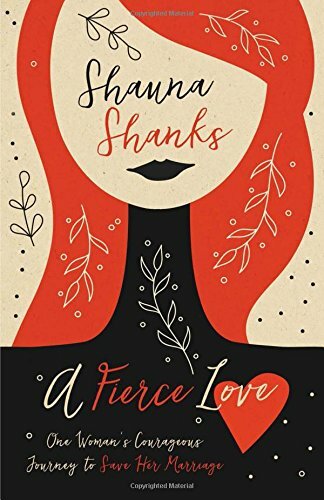 Written during one of the toughest seasons of her life, I so appreciated the honesty with which Shanna Shanks wrote. Able to take the lessons and strengthen not only marriages, the same principles could also be applied to endless relationships. Engaging, interesting, encouraging and inspirational, this book is not to be missed by anyone involved in a relationship. Chapman, Gary. Myra, Harold. 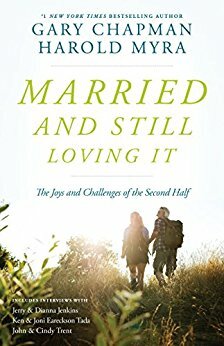 Married And Still Loving It: The Joys and Challenges of the Second Half. Chicago, IL: Moody Publishers. 2016. What a wonderful book to share with parents, grandparents, Life Groups, church ministries and your own spouse. 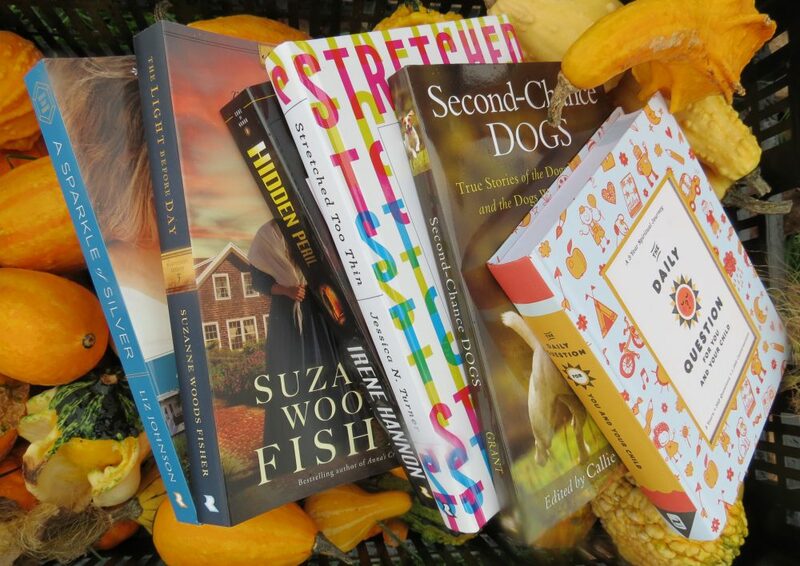 Organized into a flowing style in a reader friendly manner, I both flipped through it reading snippets then read the entire book from cover to cover. With side notes, interesting interviews and lots of revelations, I learned a few things, confirmed some items, and enjoyed my time reading. Definitely a book I will refer to in the future, and recommend to others, there are nuggets for all ages and stages. The beautiful season of marriage is truly real. Thomas, Gary. Cherish: The One Word That Changes Everything For Your Marriage. Grand Rapids, MI: Zondervan Publishing. 2017. More than love, “cherish” includes respect, gratitude, honor and adoration. When cherish is combined with love in a marriage, it has the power to change everything within that relationship. 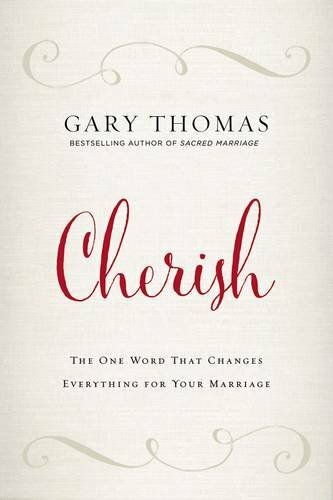 In his new book, Cherish, author Gary Thomas explores and shares the positive effect cherishing another person can have. With a faith-based backdrop, the word cherish is applied to many aspects within a marriage, abundantly coupled with personal stories, relevant analogies, beautiful words, ideas and actions, as well as lots of compassion and encouragement. Reading through the book Cherish, I found it to be a very smooth, interesting read but also one I was constantly shaking my head in agreement with. Trying to read only a few chapters at time so I had time to digest the material; unfortunately, it did not work that way as I was consistently starting the next chapter, pausing only to share (and have my husband read) snippets of each section. Definitely a book for any stage of marriage, it would be perfect for a counseling session, pre-marriage workshop, a marriage ministry or even a sermon topic. I am convinced…to cherish is priceless!